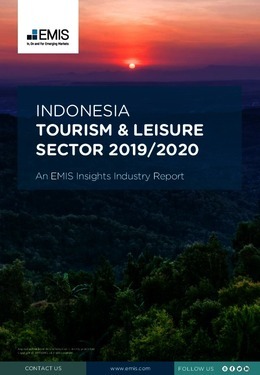 Indonesia’s tourism and leisure sector remains underdeveloped, especially in comparison to regional peers Thailand and Malaysia. The direct contribution of travel and tourism to the country’s GDP in 2017 was just 1.9%, compared with 9.4% for Thailand. The sector directly employed 4.6mn people in 2017, or 3.8% of the country’s total workforce. It is a significant earner of foreign currency, taking international tourism receipts of USD 12.5bn in 2017, up from USD 11.2bn in 2016. However, Indonesia scores low in global rankings, taking a mere 0.9% of global tourism receipts in 2017 and attracting 1% of global tourist arrivals. This report provides a complete and detailed analysis of the tourism sector for Indonesia. EMIS Insights presents in-depth business intelligence in a standard format across countries and regions, providing a balanced mix between analysis and data. Build a clear picture of trends and issues for tourism infrastructure and accommodation. Need ongoing access to company, industry or country information?